Ever since the iPhone X was released last September, Apple's Face ID authentication system has been restricted to recognizing a single person's face to unlock the iPhone X. Though iOS is ostensibly designed as a single-user operating system, this restriction has frustrated some users who wish to allow their partner or other family member to unlock their phone for convenience and sharing purposes. This is possible under the old Touch ID system, which has been around for nearly half-a-decade, because Touch ID allows up to five fingerprints to unlock the iPhone — so it's easy to allow your partner's thumbprint to your iPhone. With iOS 12, an "Alternative Appearance" mode in Face ID allows iPhone X owners to add an entire second face to Face ID. This means two people can unlock an iPhone X, potentially making it easier for users to share their devices. It's likely that Alternative Appearance is designed for people who have difficulty with Face ID because of more significant changes in appearance due to changing wardrobes like glasses or hats — but it has the happy coincidence of supporting a second person as well. 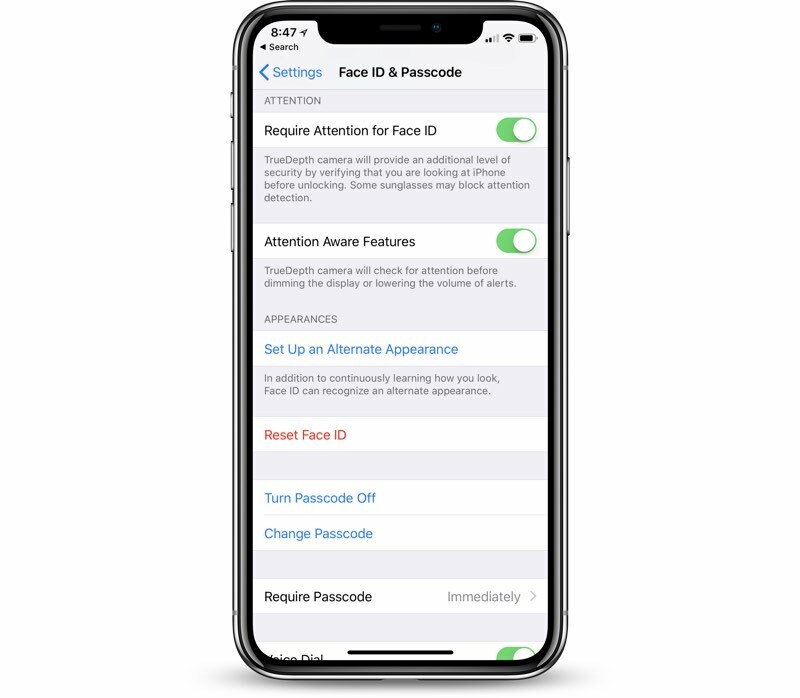 One thing to note is that if Face ID is reset for one "Appearance", it will also reset the other, meaning both users will have to start from scratch with Face ID if the system is reset.